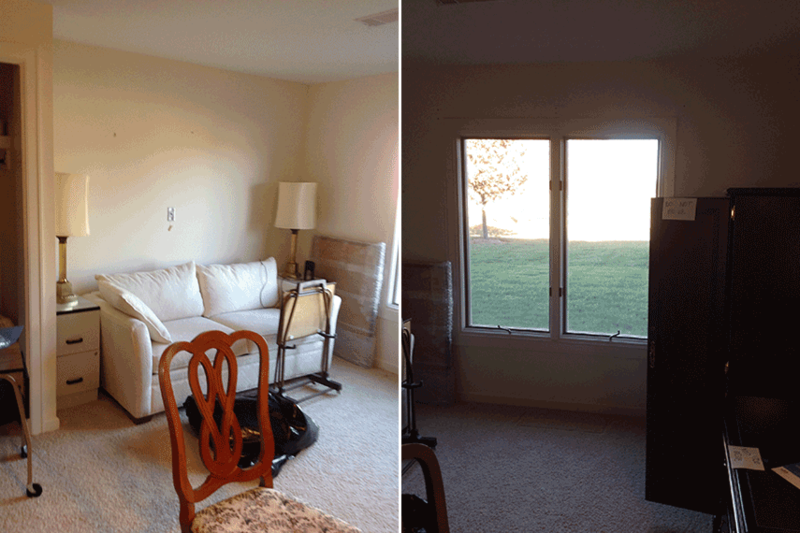 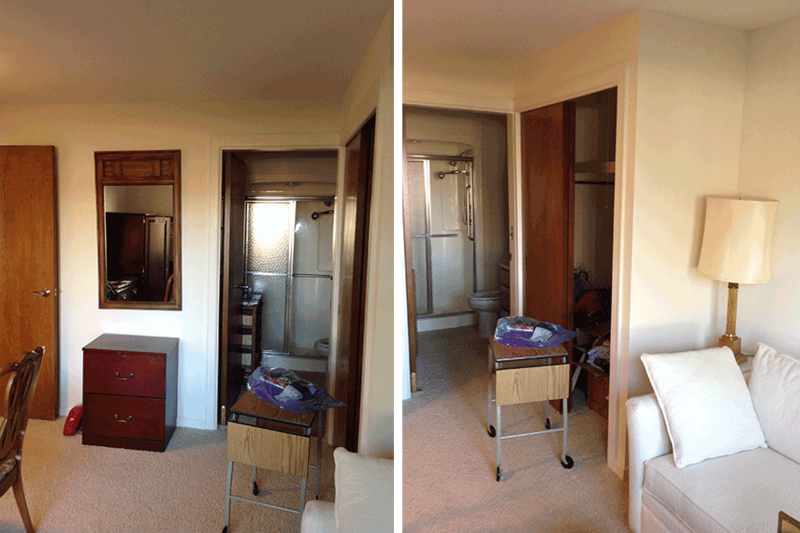 Before – this space was an unused bedroom. 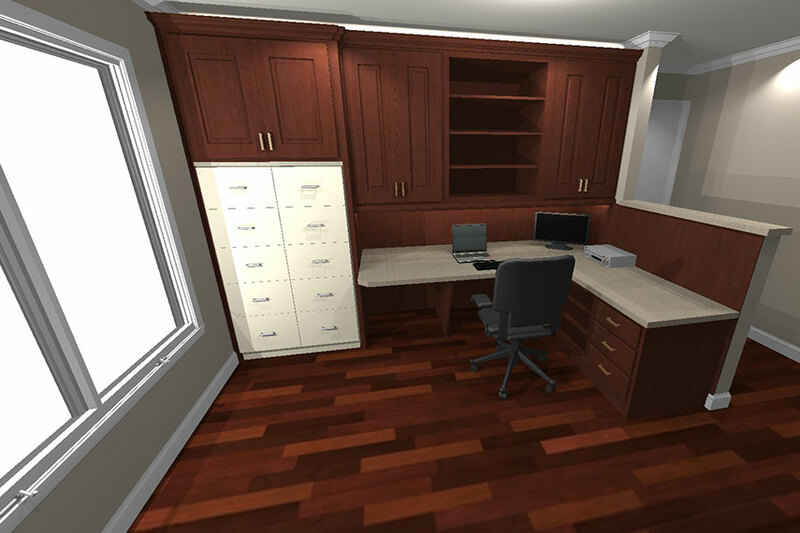 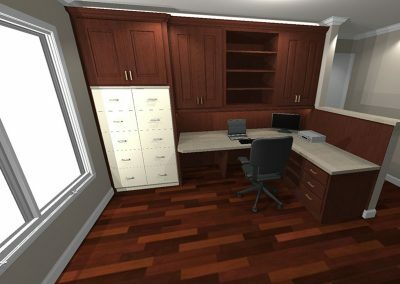 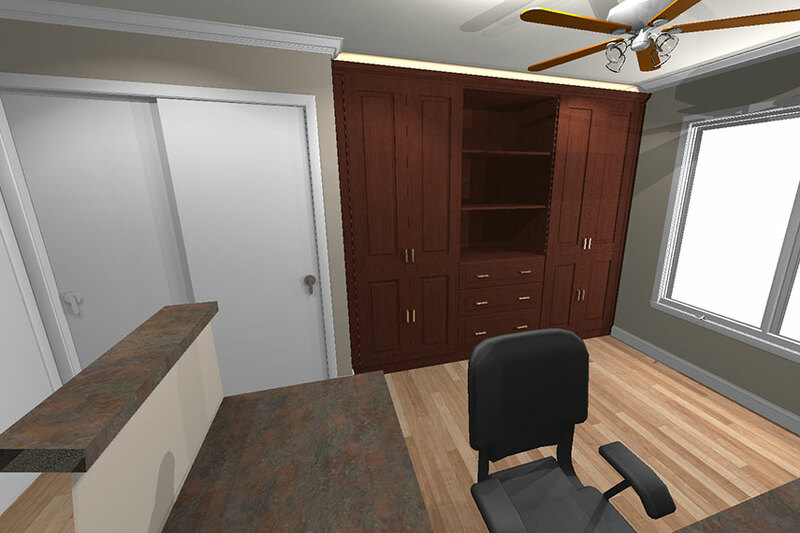 Here is a still shot of the 3D drawings our designer devised. 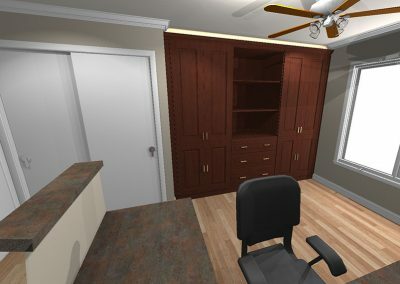 A different angle of the 3D drawings our designer created. 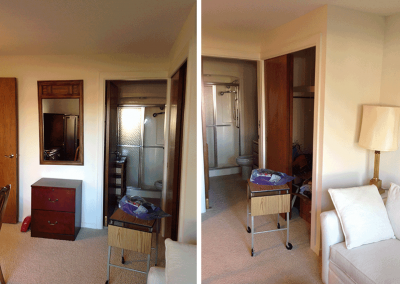 Here we see the existing closet and custom storage addition. 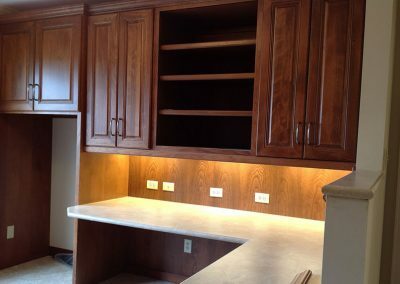 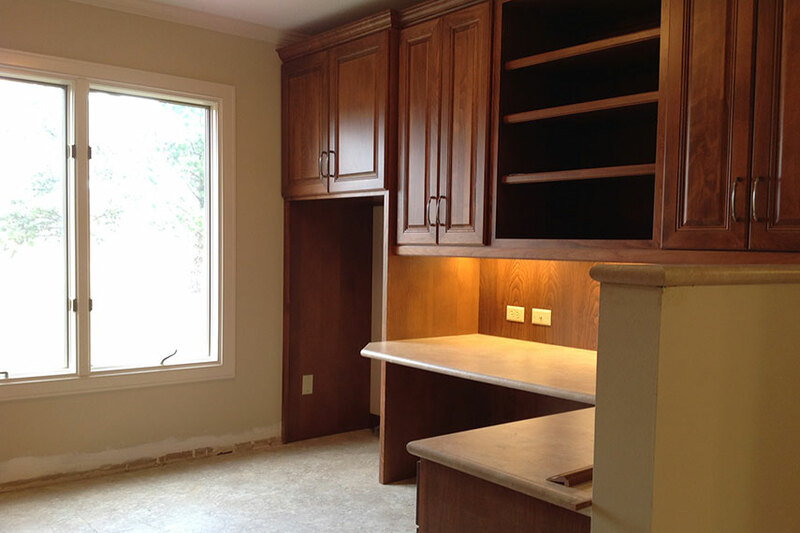 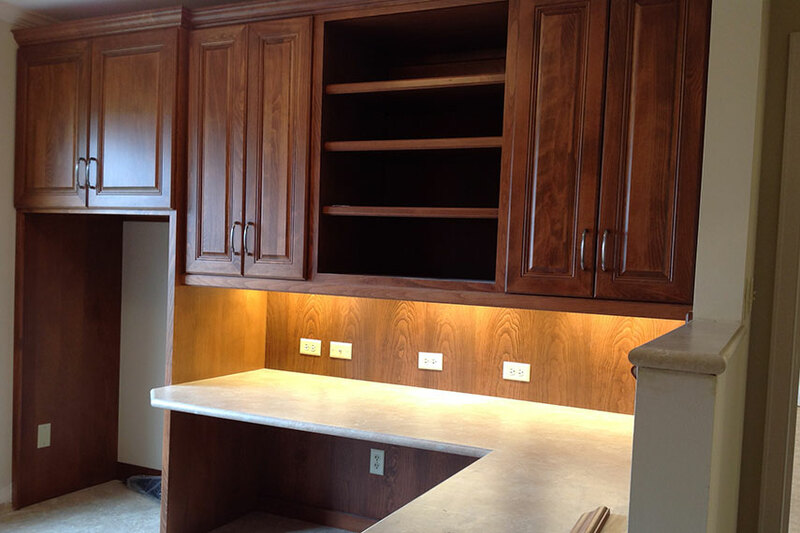 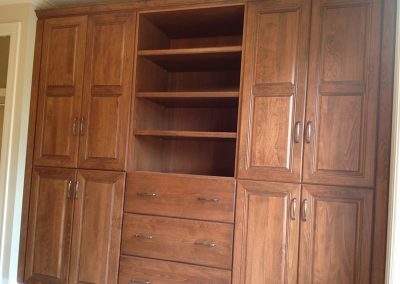 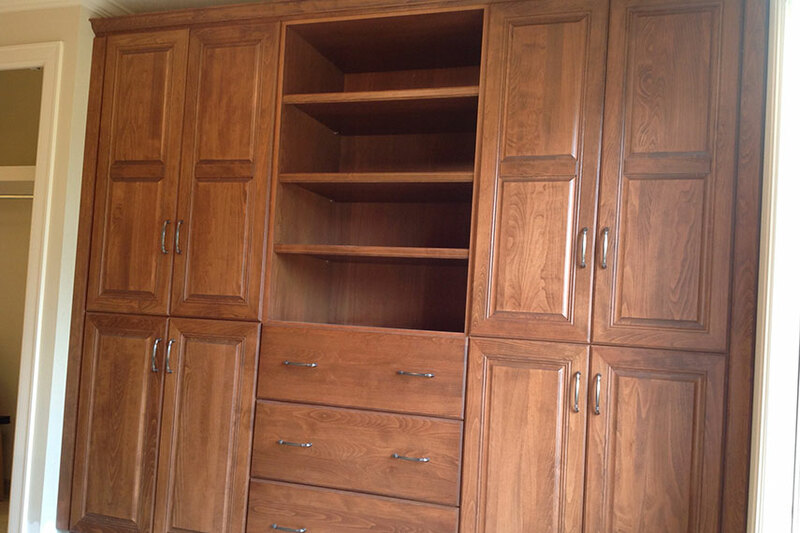 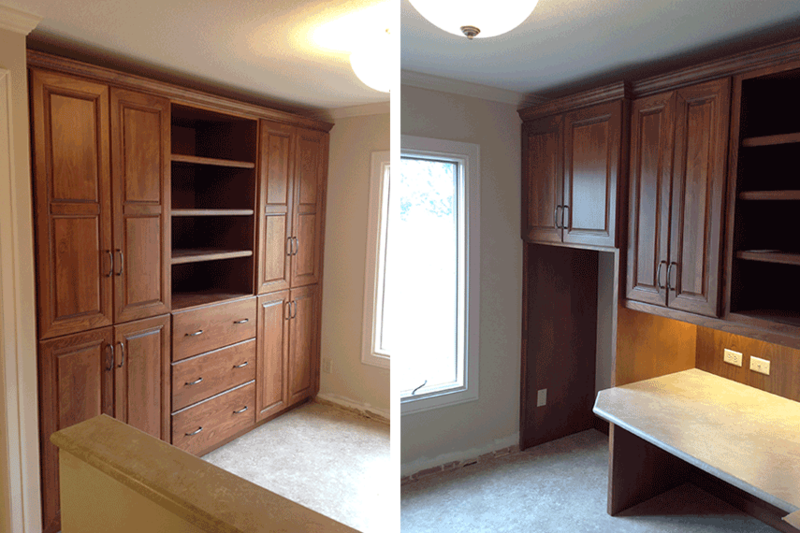 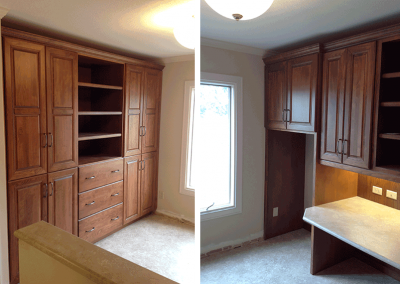 This client gained some great cabinet storage space! Now this is a desk we could work on! 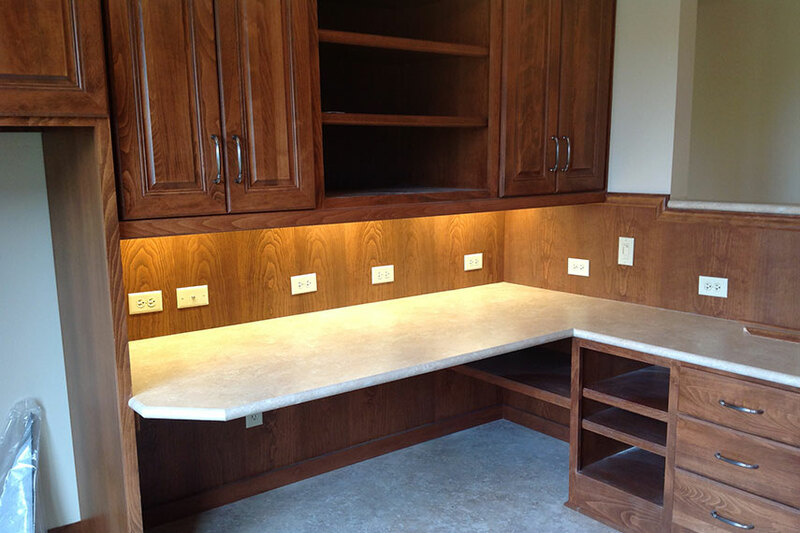 Plenty of outlet potential for every gadget-lover. 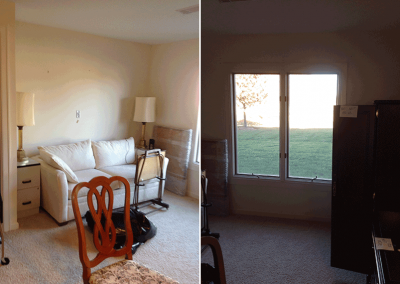 A new use for a stale space – a successful project completed!